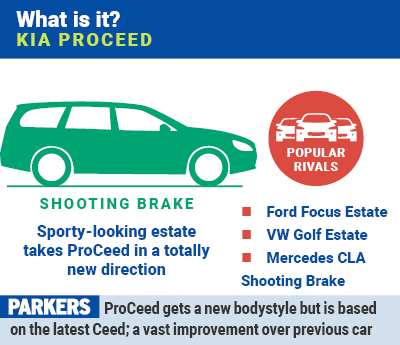 ProCeed gets a new bodystyle - it's now an estate! 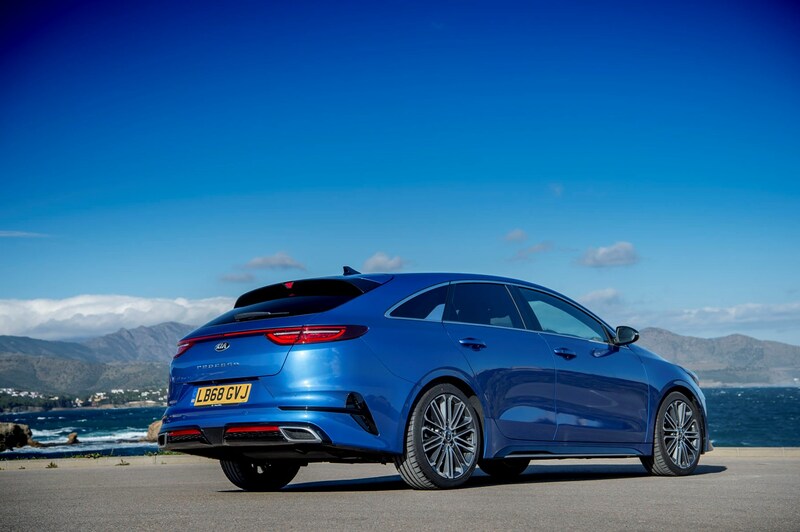 The 2019 Kia ProCeed is an entirely different animal to its three-door predecessor. 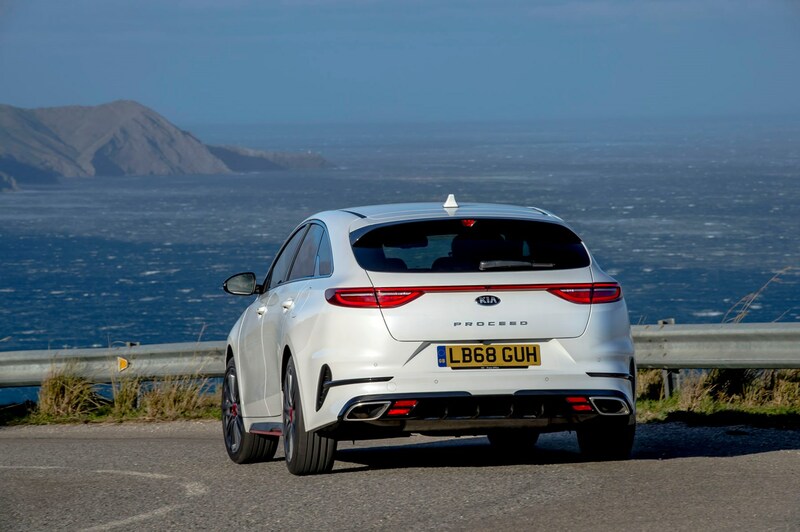 This time it’s a shooting brake design, meaning it’s a sporty estate, and we’ve had a first chance to sample it in its most athletic GT form. 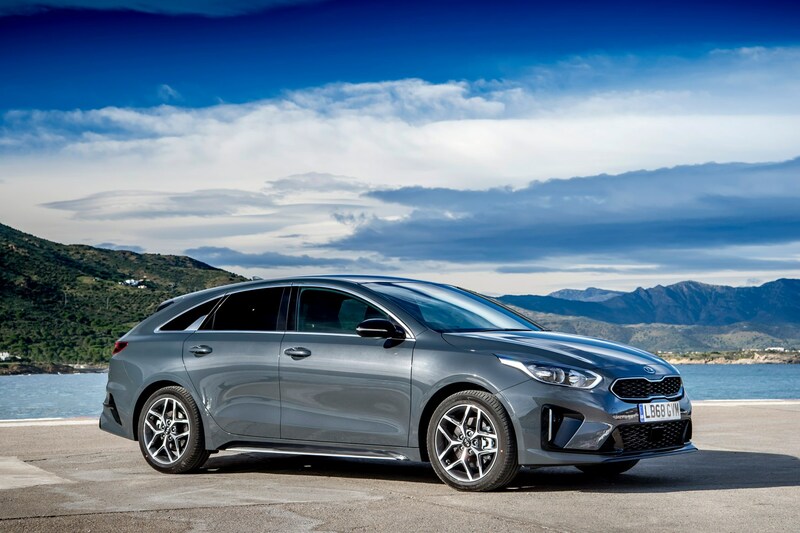 Its main competition comes in the form of the Ford Focus Estate and VW Golf Estate, but it’s closer in concept to the Mercedes-Benz CLA Shooting Brake, albeit the Kia is considerably cheaper to buy outright. The starting price of the ProCeed is just shy of £24,000, meaning the CLA is around £4k more. The ProCeed comes in a trio of trims – GT-Line, GT-Line S and this top-spec GT. 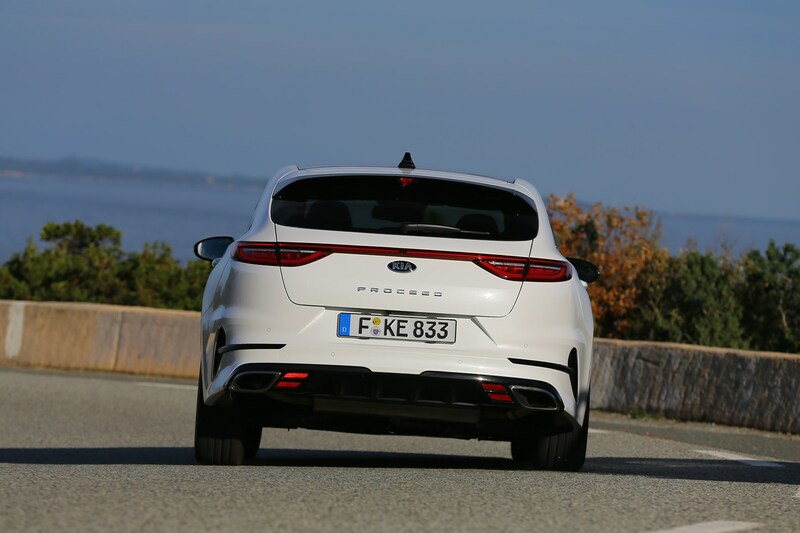 You can have a GT-Line with a 1.4-litre petrol with 140hp, or a 1.6 diesel with 136hp. Both come with a six-speed manual gearbox, but a twin-clutch seven-speedDCT automatic is offered as an extra-cost option. 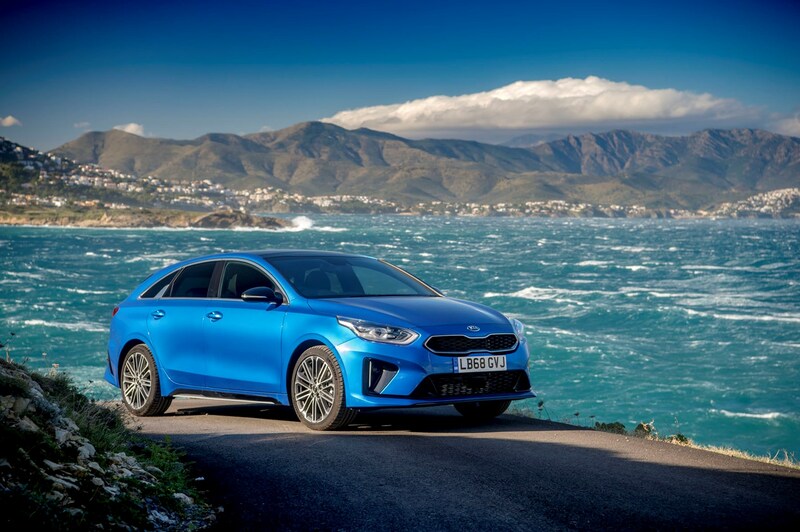 Jump behind the wheel of the 1.4-litre and you're met with a hushed engine that doesn't really like to be hurried, at least when fitted with the DCT dual-clutch automatic. It'll get up to speed easily enough, but the sound of it doesn't really urge you to have fun. It's well isolated from the cabin when it does begin to get a bit revvy, but we found it most effective at a cruise and just left to get on with it. That's a slight shame because the ProCeed actually handles well. It may well be longer and a little less agile than the regular Ceed hatch, but it's still keen to turn into bends and doesn't feel big on tight, twisty roads. 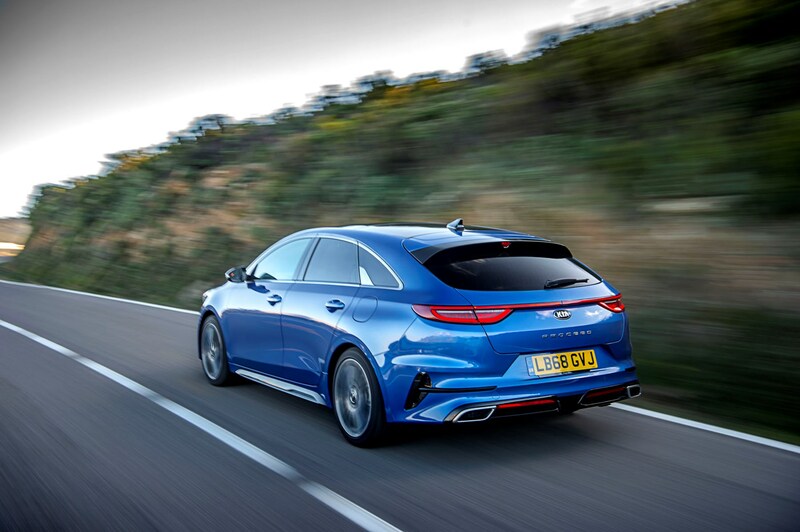 Most drivers will want this as a motorway cruiser, though, and it does that very well indeed, and the high specification of all models means there's plenty of driver assistance tech on board to keep you safe, too. 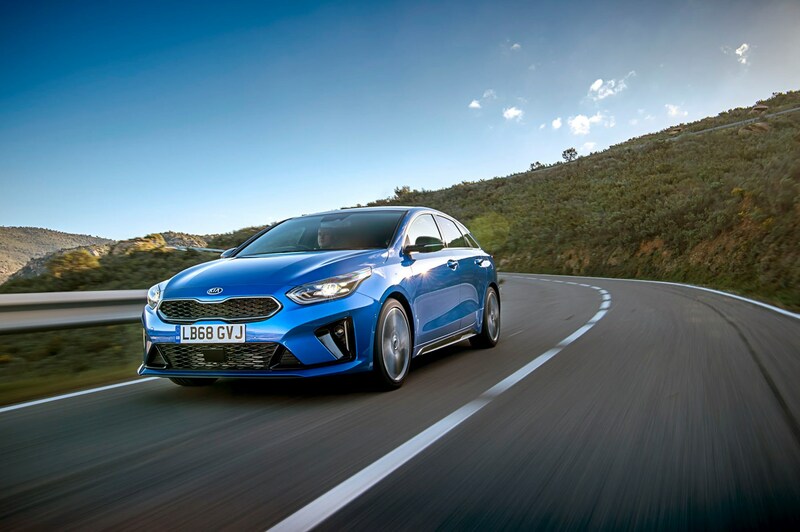 You can only have a 1.4 petrol automatic on the GT-Line S version, while top-end GT cars come with a 1.6-litre turbocharged petrol with 204hp and 265Nm of torque. 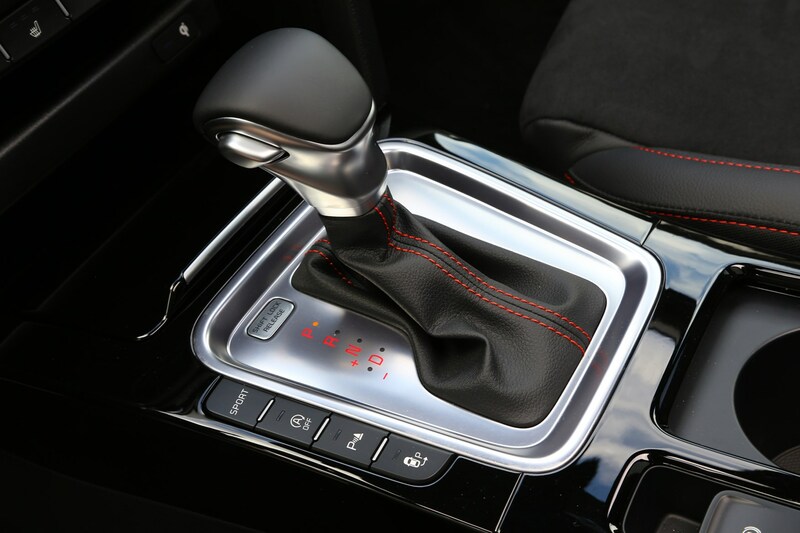 It’s only available with the seven-speed automatic ‘box mentioned above, and will cover 0-62mph in 7.2 seconds. 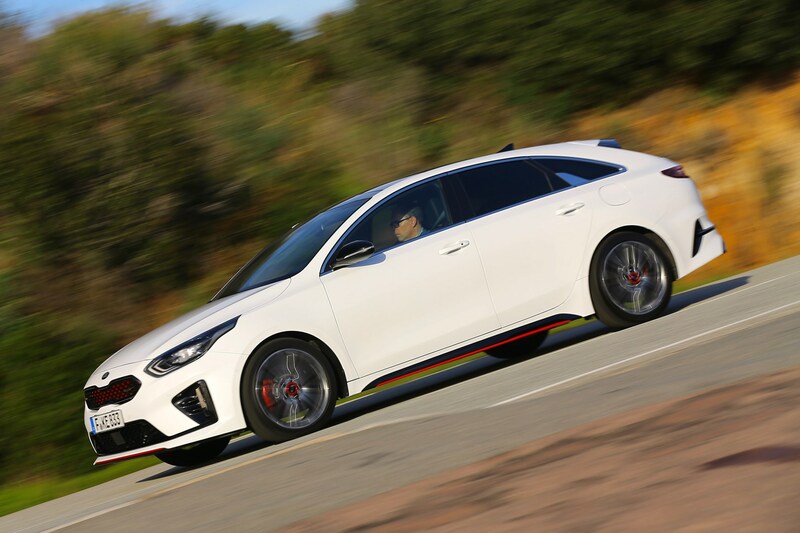 There’s no all-wheel drive option in the ProCeed line-up; all models send their performance through the front wheels only. 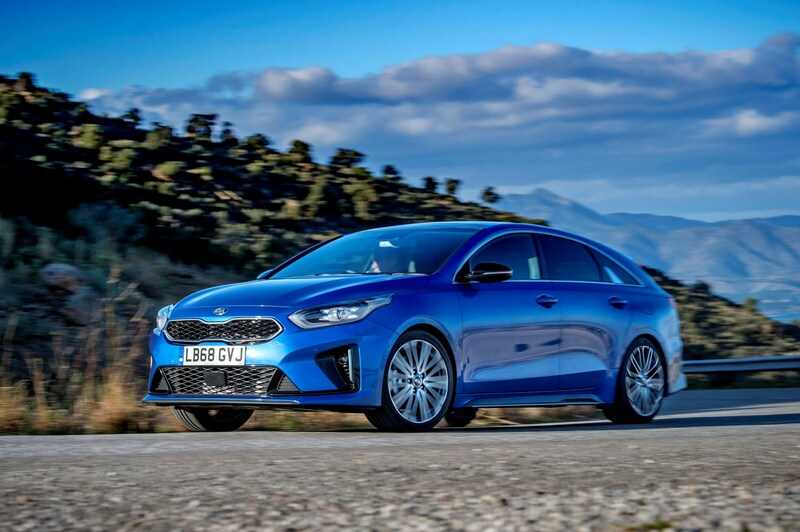 This engine delivers a more engaging drive than you might expect, and that starts when you hit the starter button, the car coming to life far more loudly than you'd initially expect thanks to a rather rorty exhaust. On the move, it revs smoothly with a decent amount of punch for overtaking. 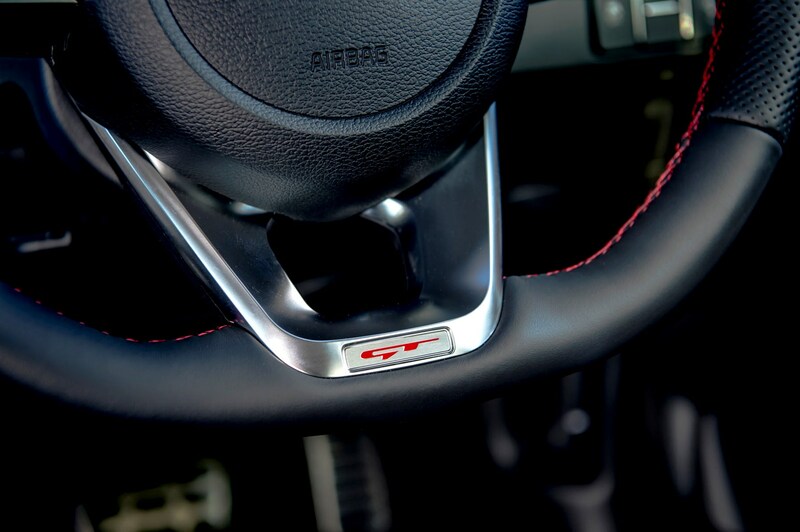 If you do want to drive like this, you'll probably want it in Sport mode to liven up the car's throttle response. 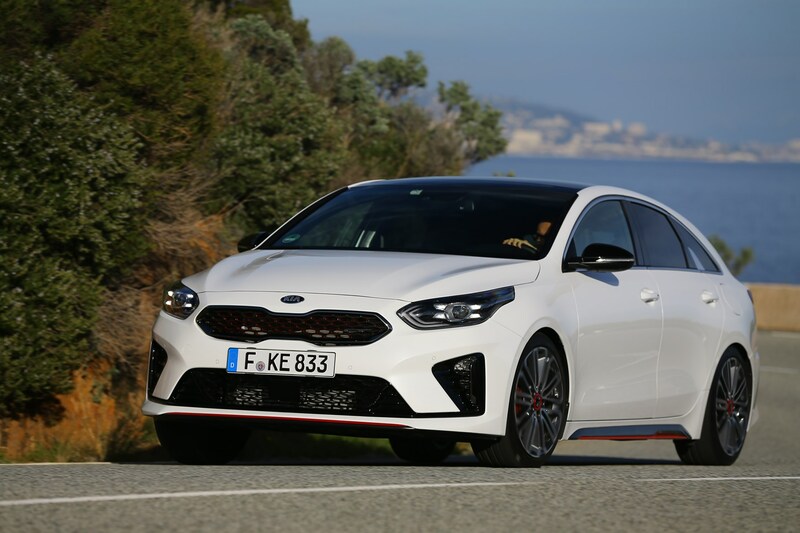 This drive mode also tweaks the steering to make it heavier and the gearbox to make sharper changes, but these are moderate improvements rather than paradigm shifts in performance. 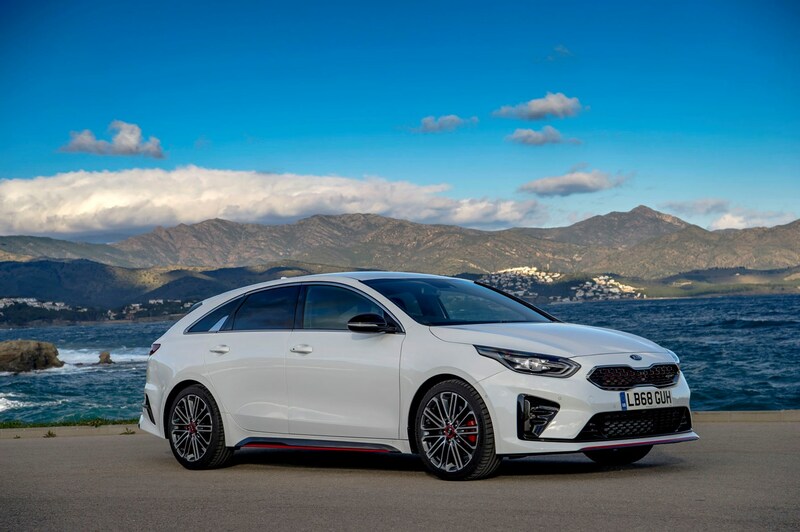 Underneath its sporty exterior lies the very same mechanical platform as the Ceed hatchback, which means it handles impressively well, though the ride is slightly firmer than we were expecting, plus it doesn't feel quite as agile as the smaller Ceed GT hatch (which isn't that surprising). 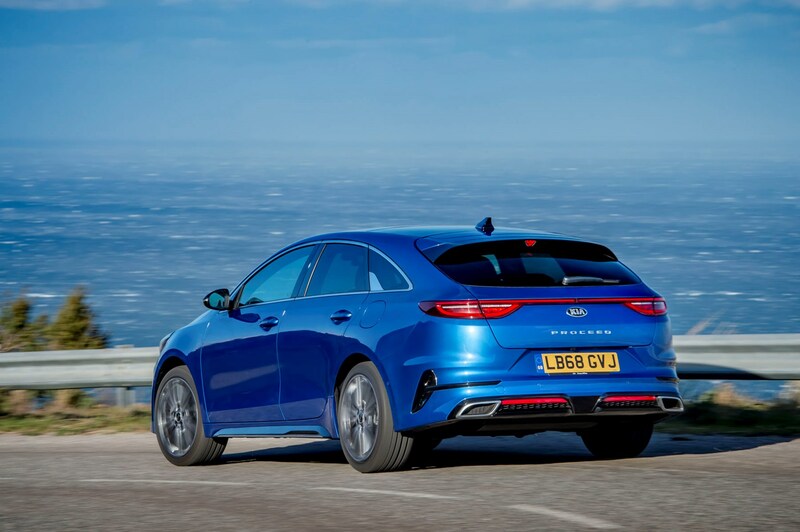 That could be because it sits 5mm lower than the Ceed for a sportier gait, so requires firmer springs to accommodate, plus it has more weight to carry around thanks to that elongated rear. 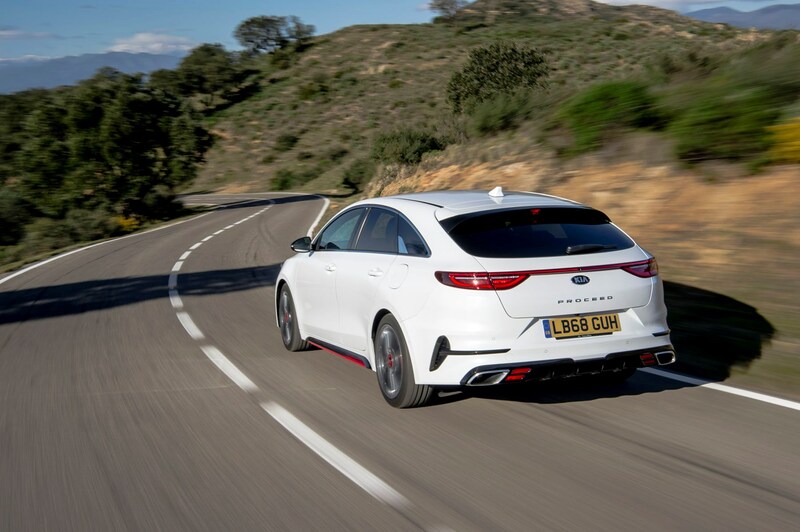 There’s a decent amount of grip on offer, but it can occasionally feel easy to spin the front wheels if you’re keen on the throttle, because the gearbox can be erratic in its response, and sometimes provides far more torque than you were expecting. As long as you don't floor the throttle everywhere, you won't find the car scrabbling around too much. 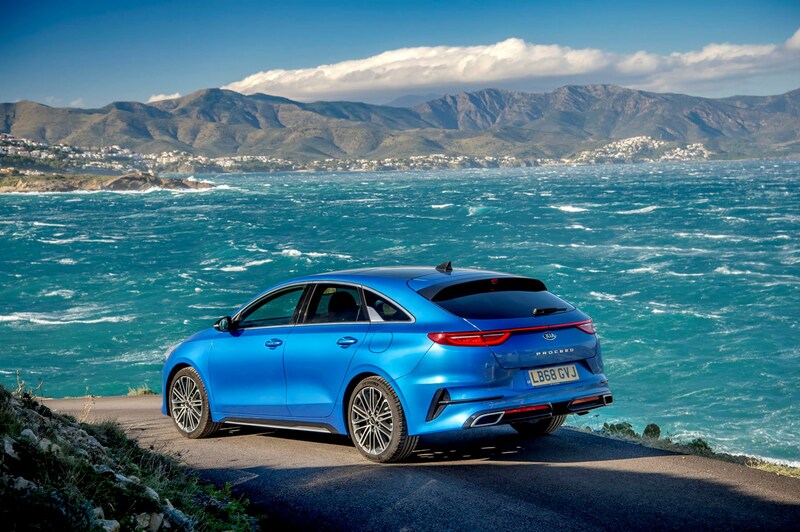 It isn't a raw performance car in the way a Hyundai i30 Fastback N is, and needs to be driven that way. If want a more sensible version of the ProCeed, the 1.6-litre CRDi diesel could suit, and it's actually one of the best. 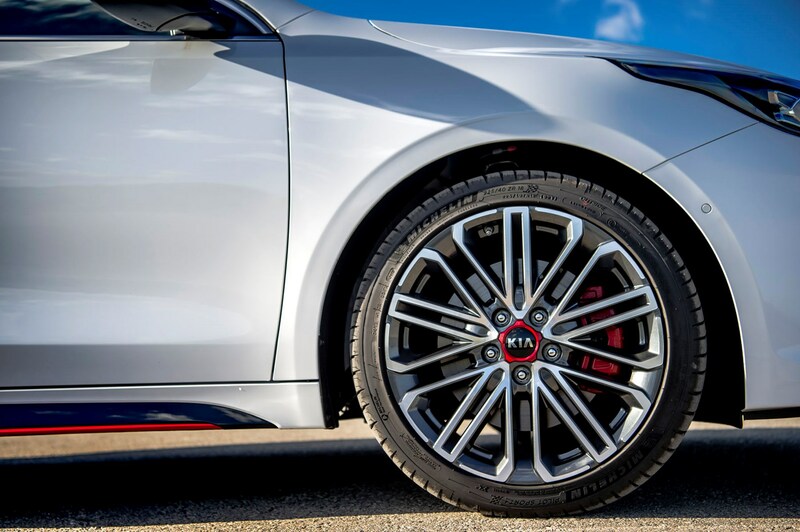 In GT-Line trim, it's refined and punchy yet easily returns more than 50mpg. 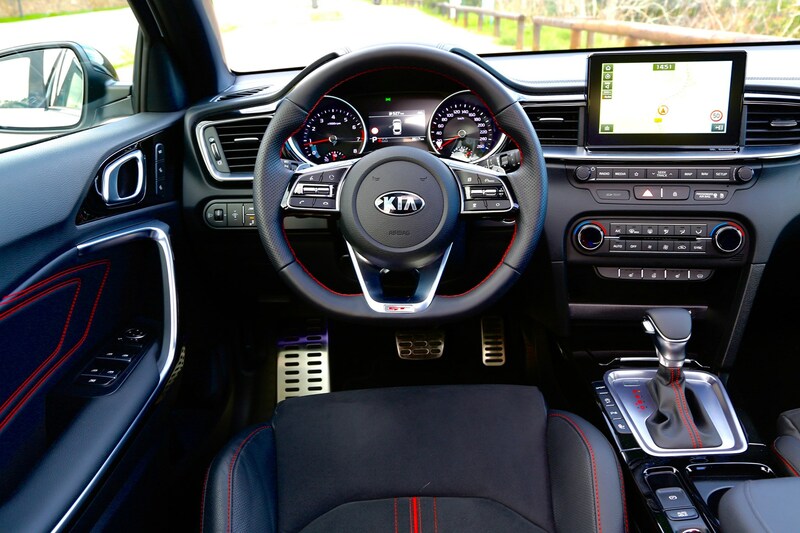 Inside, it's just as pleasant as the rest of the line-up and the smaller 17-inch wheels fitted means it rides very well indeed. 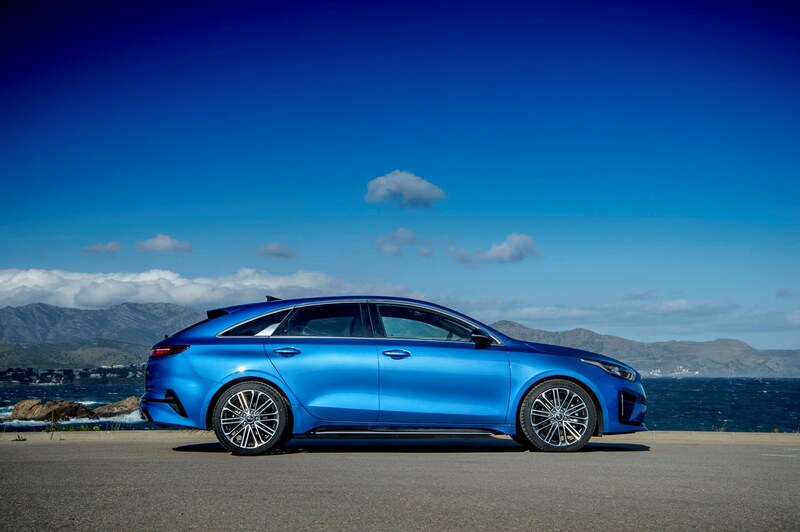 What’s the 2019 Kia ProCeed like inside? Very much like the Ceed it’s based on, meaning genuine room for four adults despite the sloping roofline at the rear. 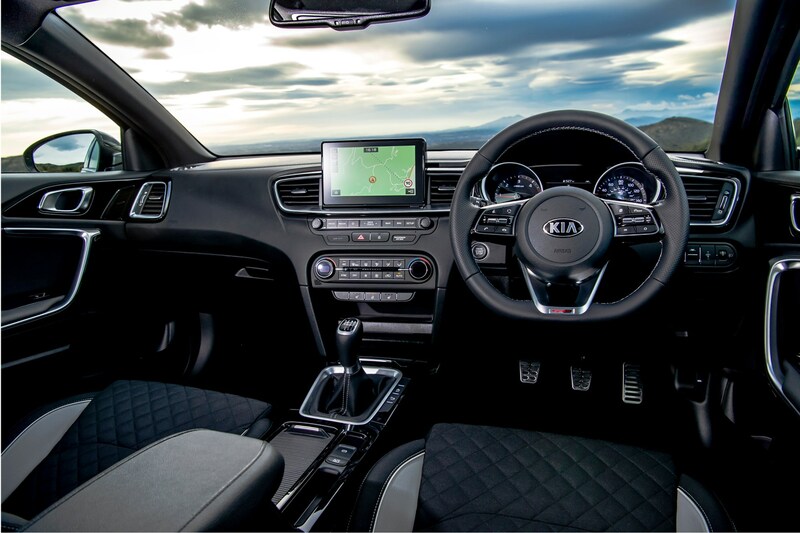 As all ProCeed models are high-spec GT-Line, GT-Line S or GT, they all get faux suede sports seats and a grippy leather steering wheel, and black gloss interior finishing. It feels upmarket and befitting of its stylish status. 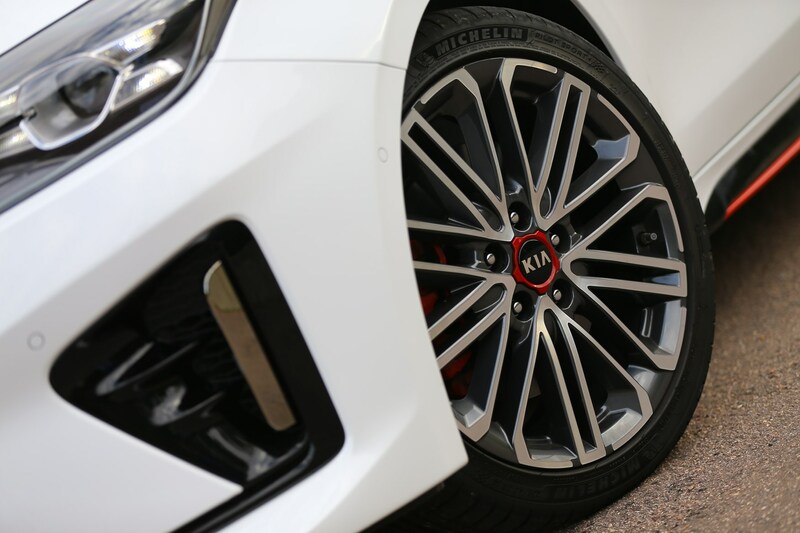 On the outside you’ll spot a GT by its bodykit, 18-inch wheels and red detailing to match the interior. 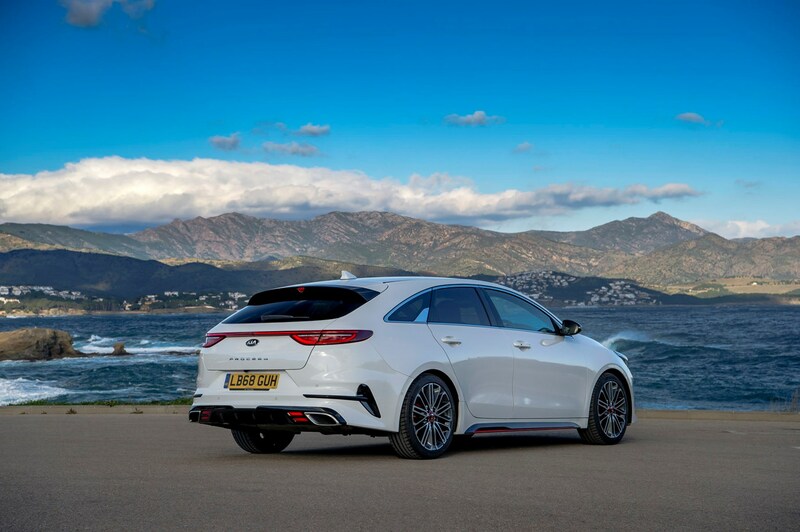 An electric tailgate opens up to reveal 594 litres of boot room, meaning it's not far behind the regular Ceed estate in terms of space on offer with the seats in place. It's if you want to fill it up to the roof that it falls behind because of that sloping rear. It's worth mentioning here that rear visibility is very restricted, though. The view out of the rear mirror seems to just show a letterbox view of what's behind, and when manoeuvring it can be hard to judge the rear corners of the car. 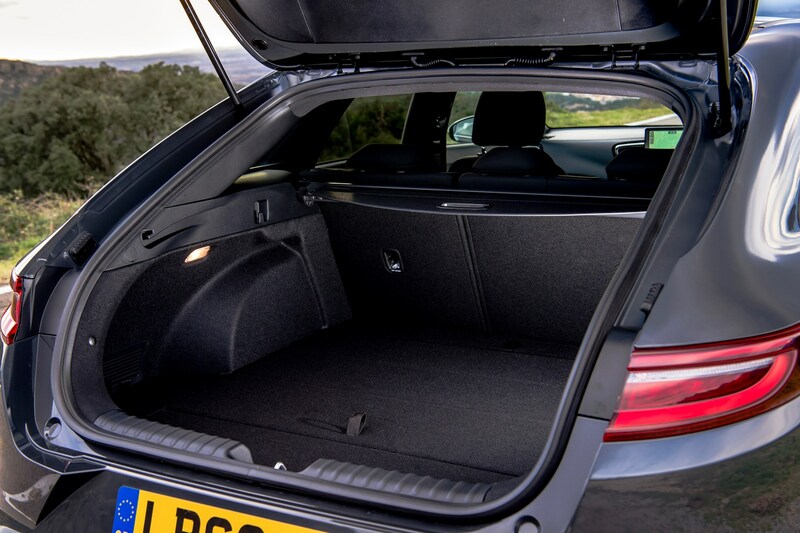 However if you do need more space in the boot, the back seats fold down in a 40:20:40 split via handles in the luggage area, so you don’t have to go to the rear doors to fold them down. 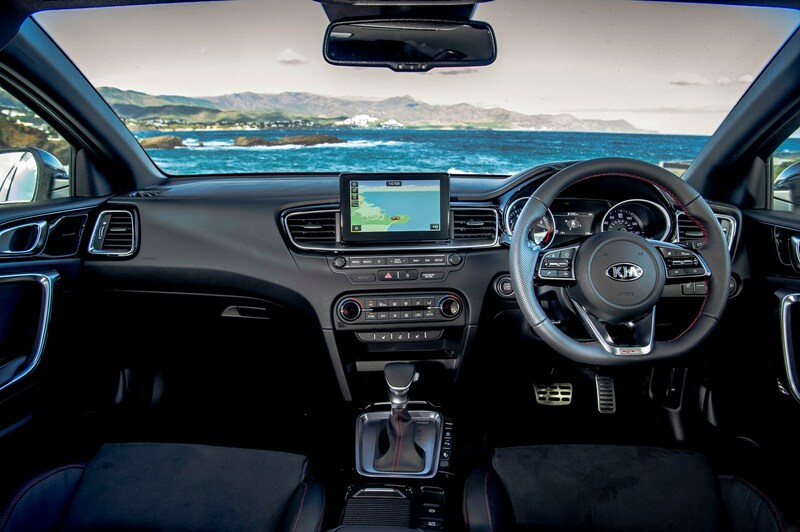 The new Kia ProCeed is a very likeable car, with eye-catching looks and upmarket interior. 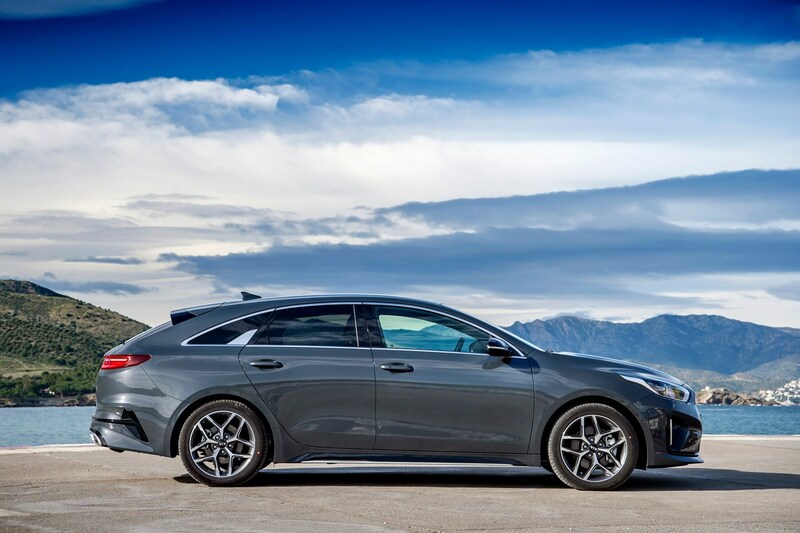 We’re not sure we’d buy one in GT specification, though - that model is better in the regular Ceed hatch. It’s not lively enough to warrant picking over the lesser-spec GT-Line or GT-Line S models if it's just a sleek family car you're after, so represents a difficult sell in that sense. 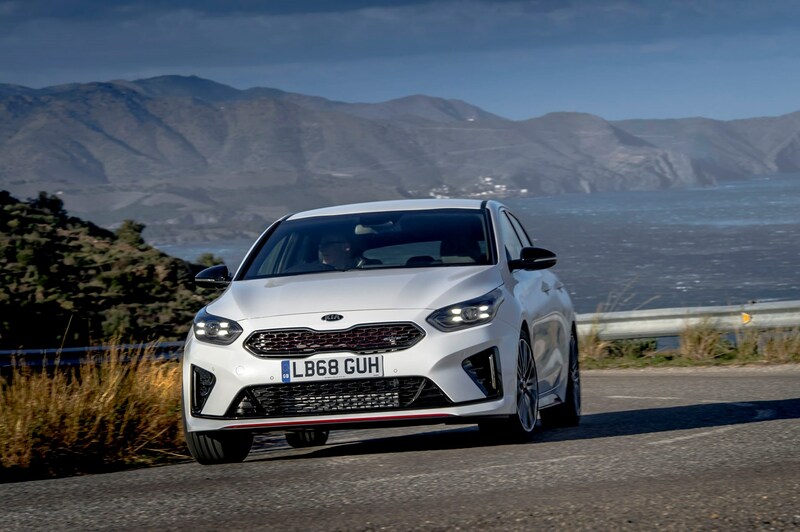 However, the 1.6-litre engine is a far smoother and punchier engine than the 1.4 and could be worth opting for, especially if you don't need the higher specification of the GT-Line S (which is actually more expensive than the GT). 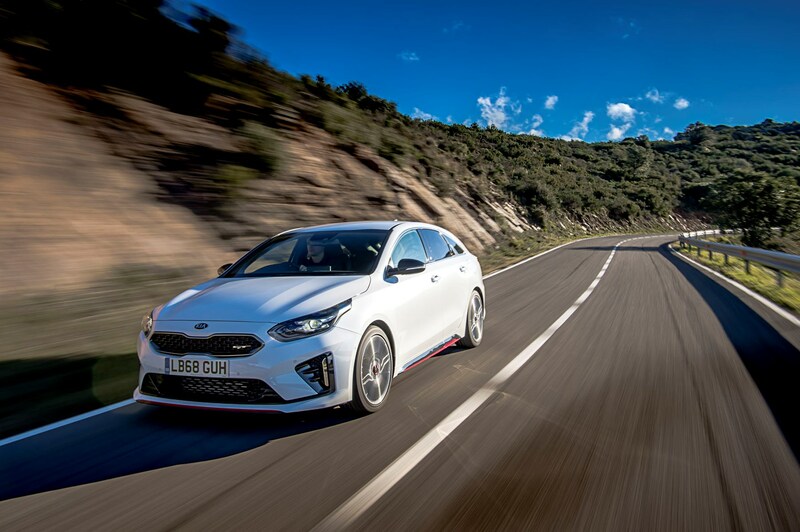 Hyundai’s i30 N hot hatch has a massive performance advantage over the other models in the line-up, whereas the Kia is more of an iterative improvement. 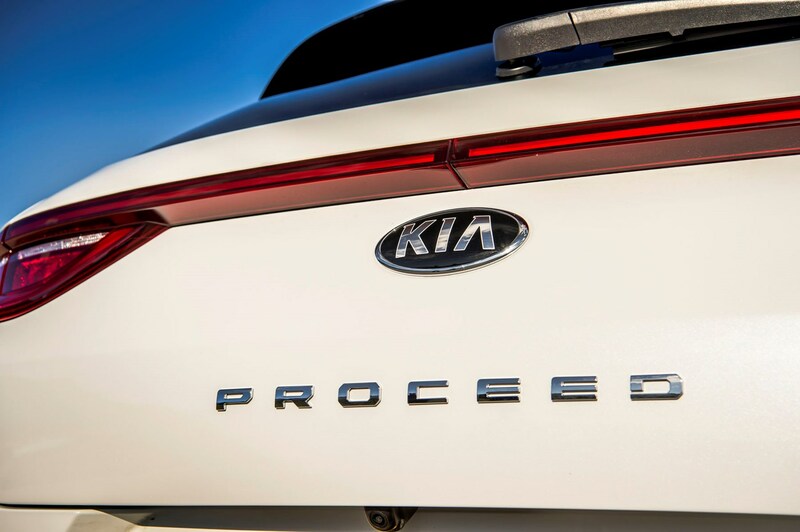 One thing's for sure, though: the ProCeed is a more practical, better-looking and better-driving car than the one it replaces.